Mother’s Day was especially hard one year, right there in the midst of my own hard, emotional infertility season. And then God led us to adoption and I became a mom one week before Mother’s Day 2007. That’s how dreams are sometimes – they seem so far out of reach and then they happen in an instant and we realize the timing is perfect. Of course, when I was waiting to be called “Momma,” I didn’t think the timing was very perfect! Three times, I became a mom because of adoption. Sure, infertility led us there, but since the day we stopped trying to conceive a baby, I’ve had no doubts this was God’s plan for our family. Adoption is relational to its core. 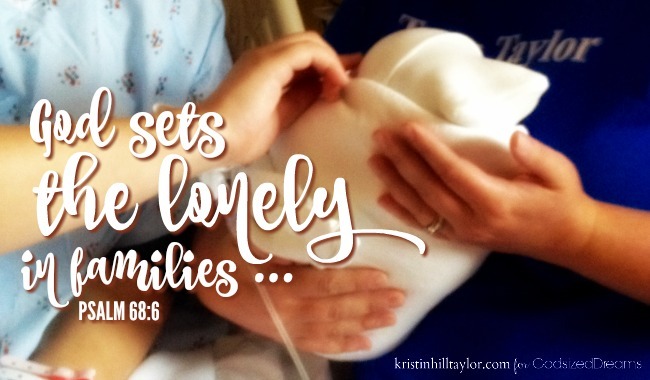 Always rooted in grief, adoption is a redemption process that builds families and connects people beyond the walls of one home. The earthly process of bringing a child home this way mirrors the spiritual adoption of God choosing us for an inheritance we share with Christ. It’s kingdom work that sanctifies.